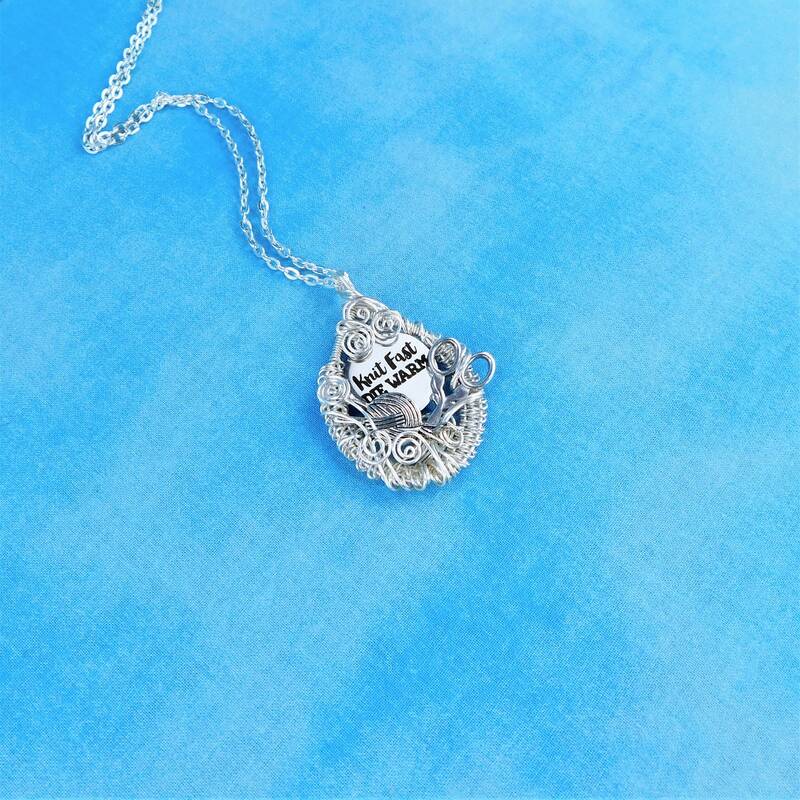 Get ready to knit! 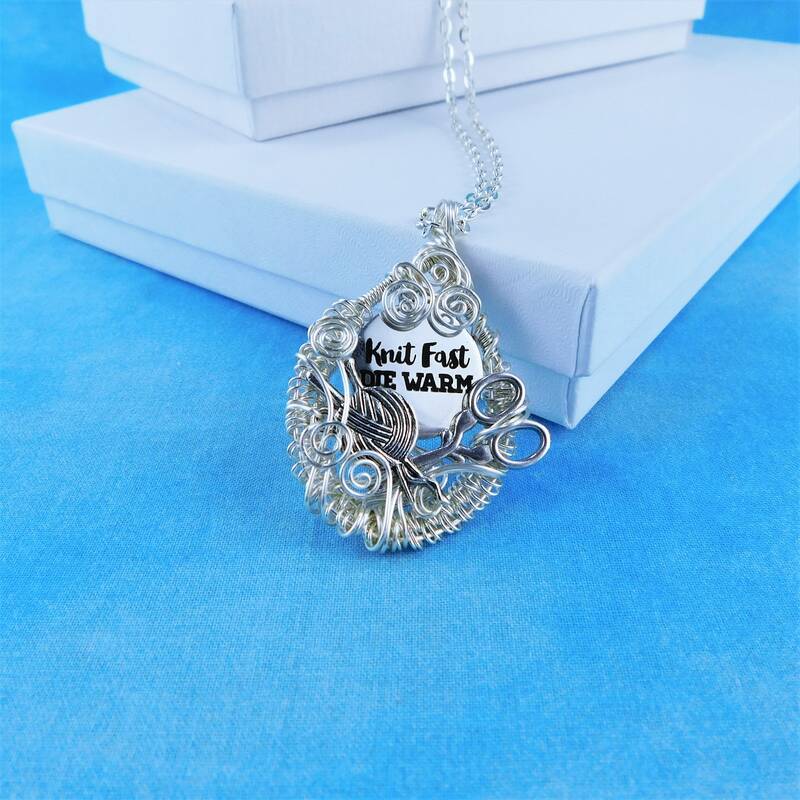 A ball of yarn, knitting needles and a pair of scissors are ready to go so you can "Knit Fast...Die Warm." 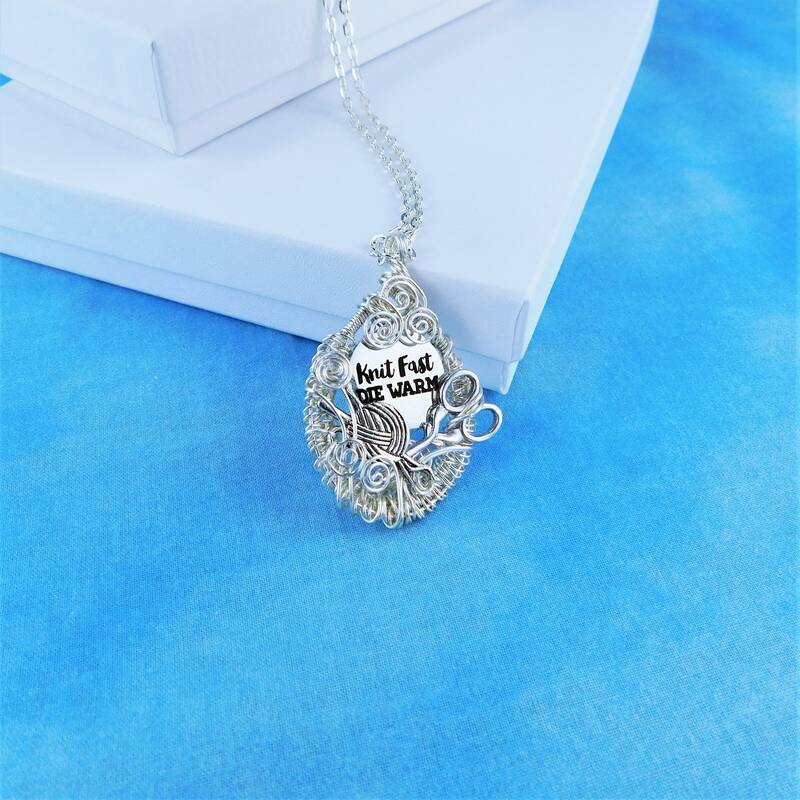 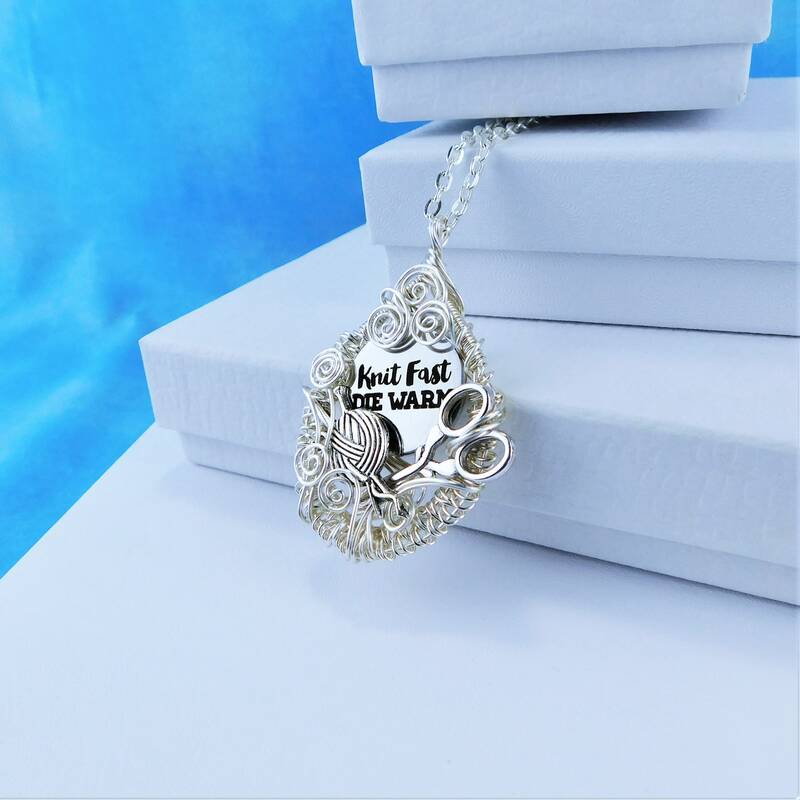 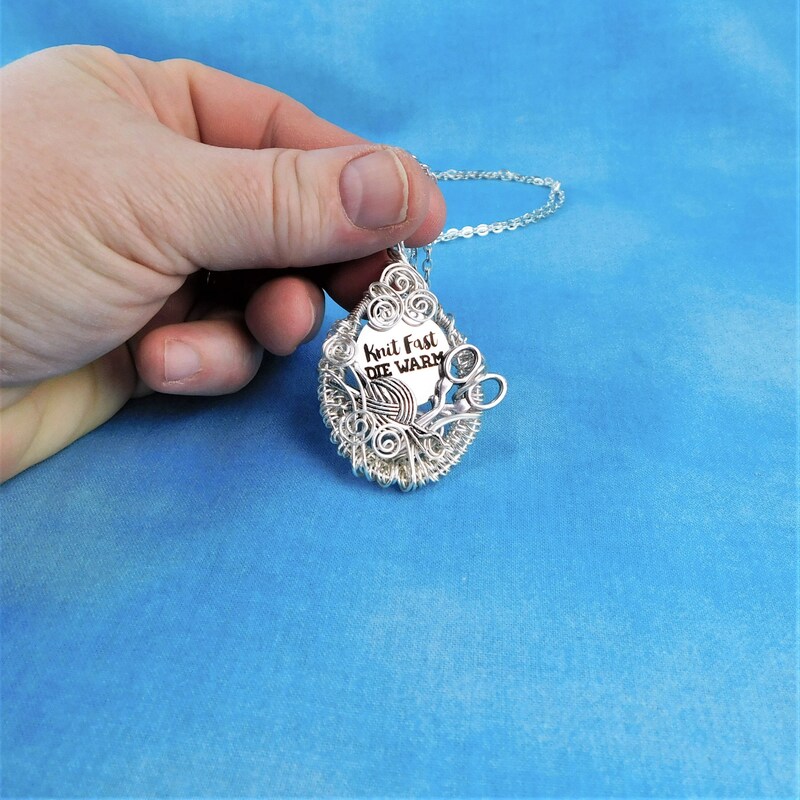 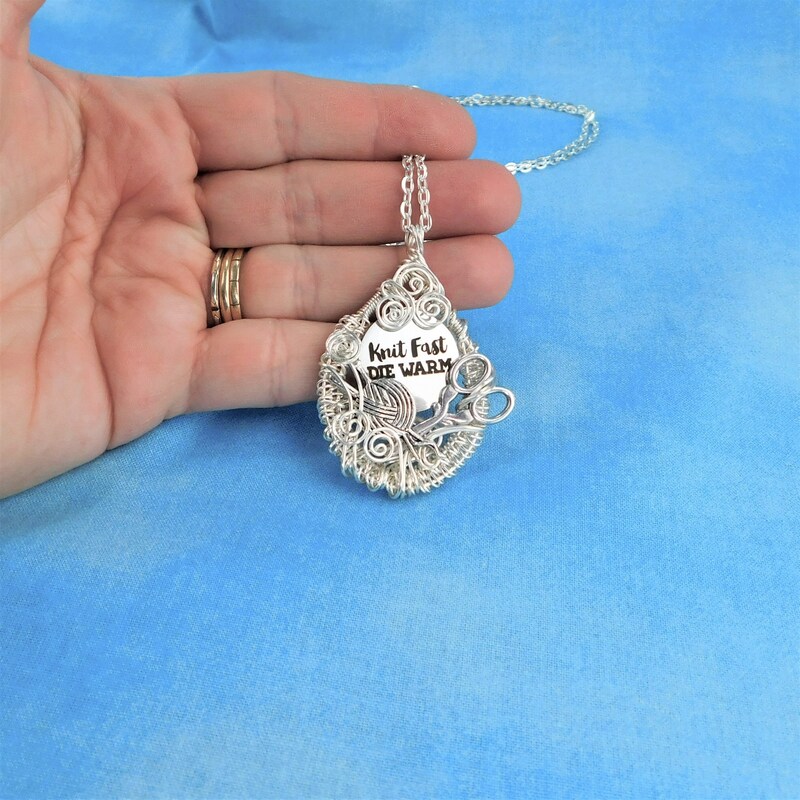 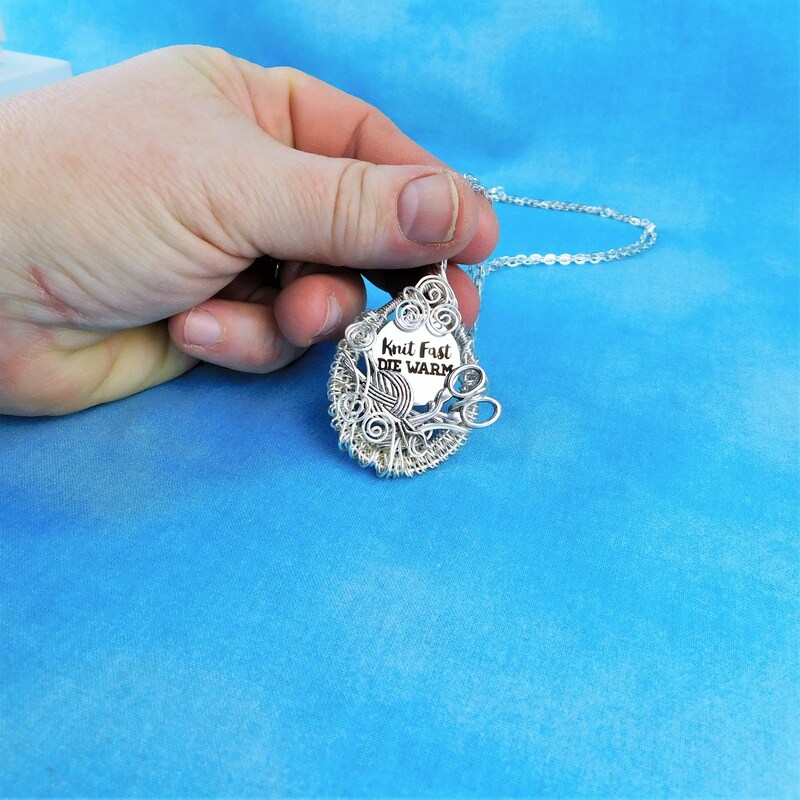 Any knitter would appreciate the clever sentiments expressed in this unique and whimsical pendant. 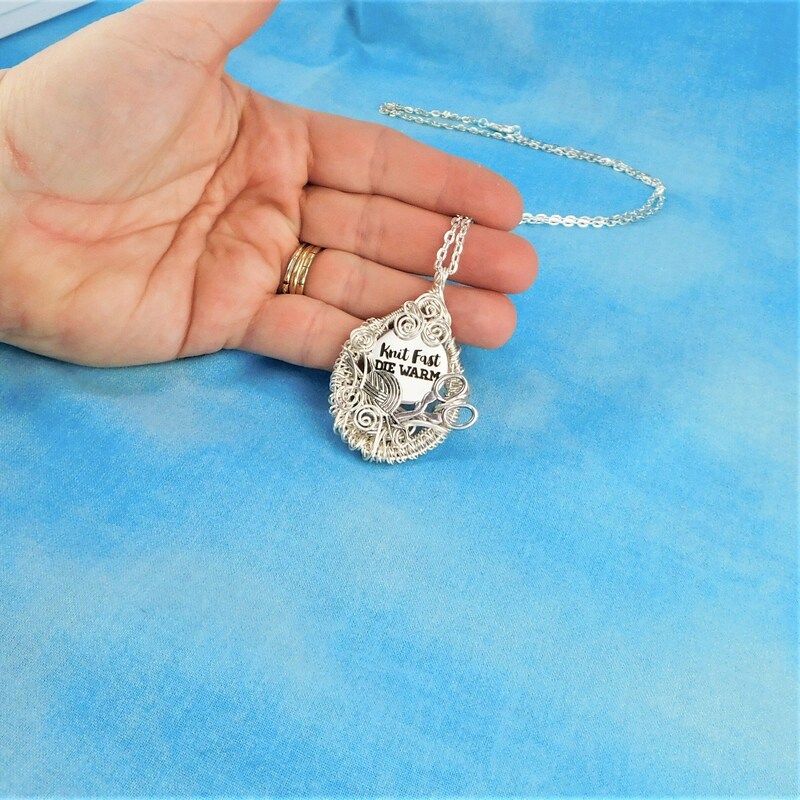 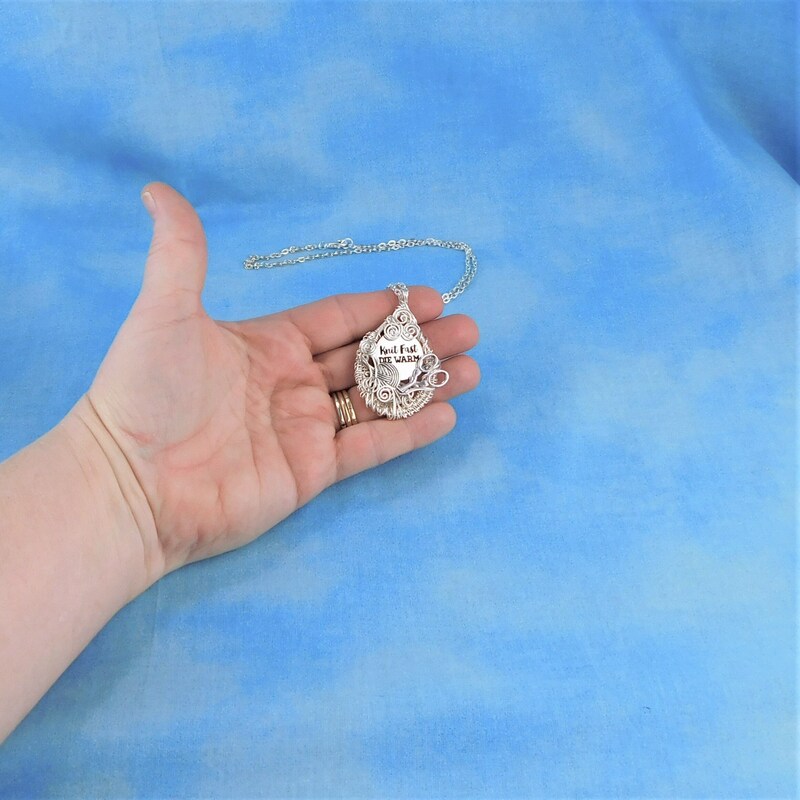 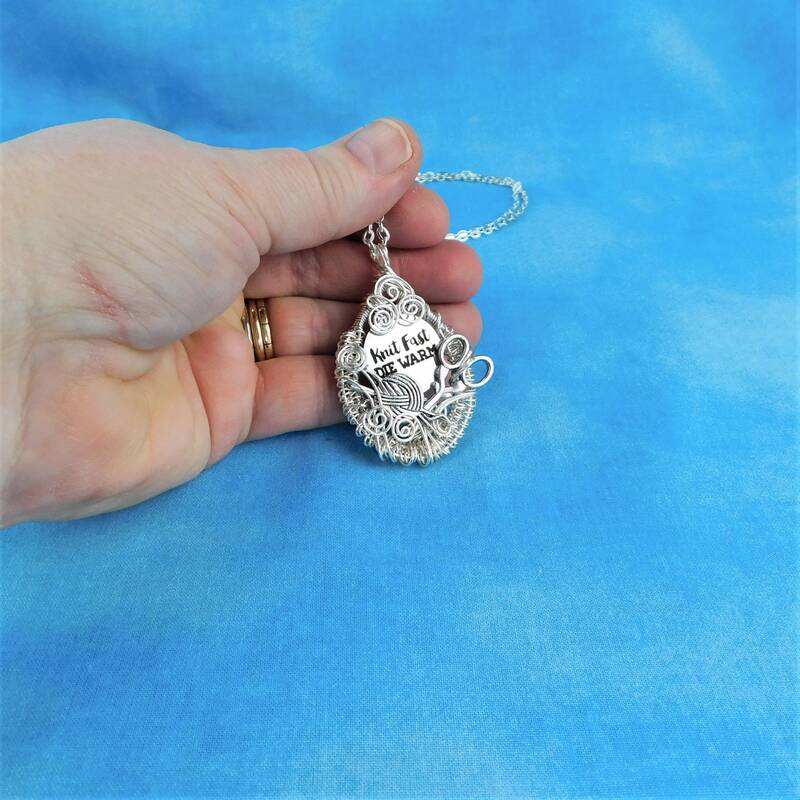 The pendant measures 1 3/4 inches by 1 1/4 inches and comes with a FREE coordinating chain,measured to your preferred length.